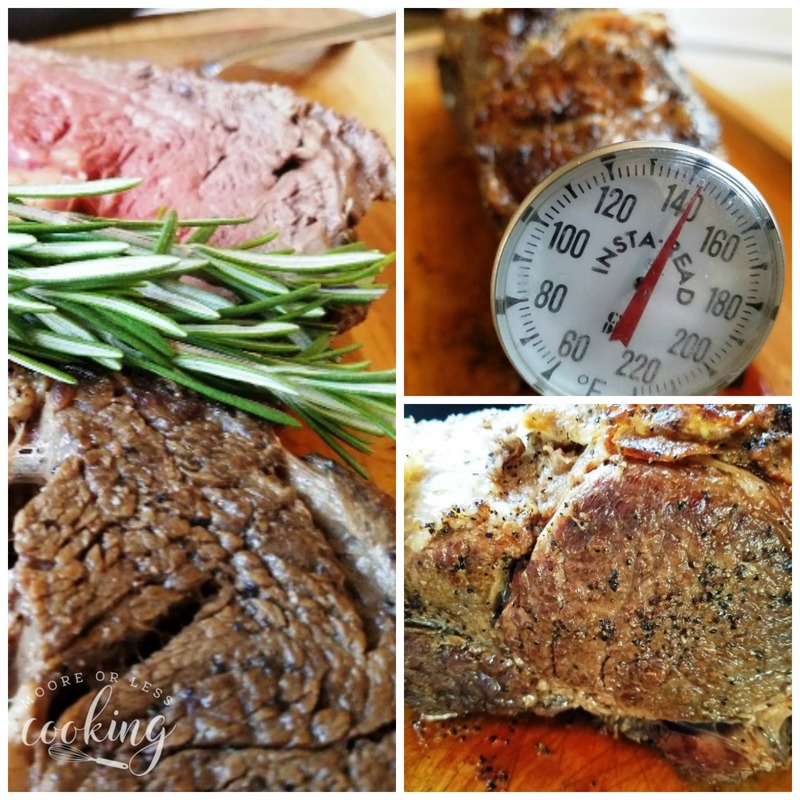 The Best Prime Rib Roast for the holidays or any day! If you asked me what hubs favorite meal is, I would have to say Prime Rib. Whenever we go out for dinner, he will 9 out of 10 times order a beef entree and Prime Rib is his #1 choice. He is my meat and potato guy! 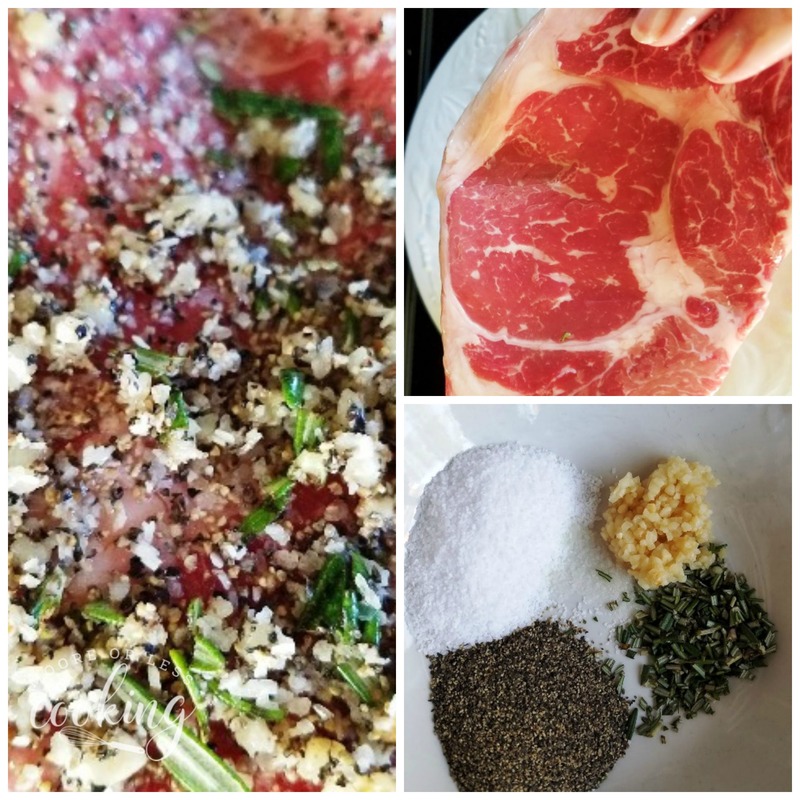 If you love Prime Rib as well, you will love this easy recipe. I was excited to surprise him with a Prime Rib Roast meal. 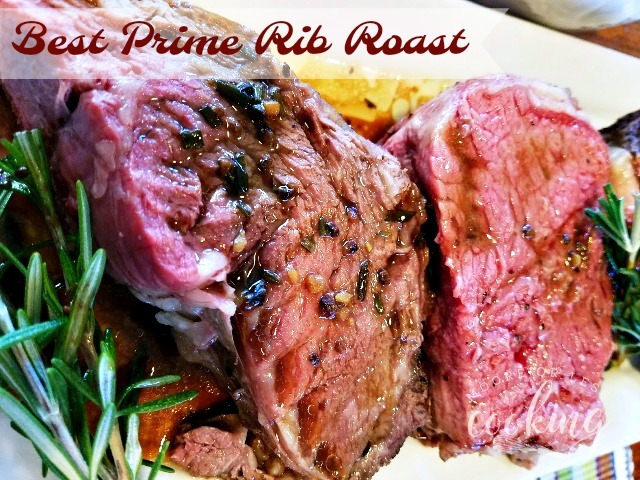 knew that I could make the Best Prime Rib Roast with the Ninja® Cooking System with Auto-iQ™ . Hubs was so surprised when he came home from work and saw what I was making! I am impressed that the Ninja has four appliances built into one, it truly is a multi-cooker. It is perfect for making a Prime Rib Roast because it has a stove top for searing and sautéing and an oven for baking. The Ninja also is a slow cooker and a steamer. I like that the Ninja Cooking System with Auto-iQ has an Auto Stay-Warm and programmable digital timer. It is also has a 6-quart nonstick dishwasher-safe pot, glass lid with handle, steaming/roasting rack, and 100+ recipe cookbook with over 80 Auto-iQ recipes. With the slow cooker, there is a worry-free ACCUTEMP temperature control operates behind the scenes to ensure your meals don’t boil over and are cooked evenly, so you can slow cook with confidence. 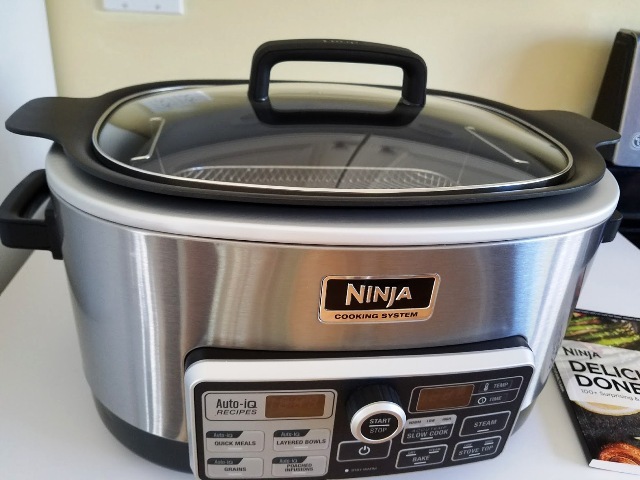 If you like your slow cooker, you will love the Ninja Cooking System with Auto-iQ! Slow cooker’s heat from the side, Ninja’s Triple Fusion Heat® brings bottom, side, and steam heat together for easy one-pot meals. 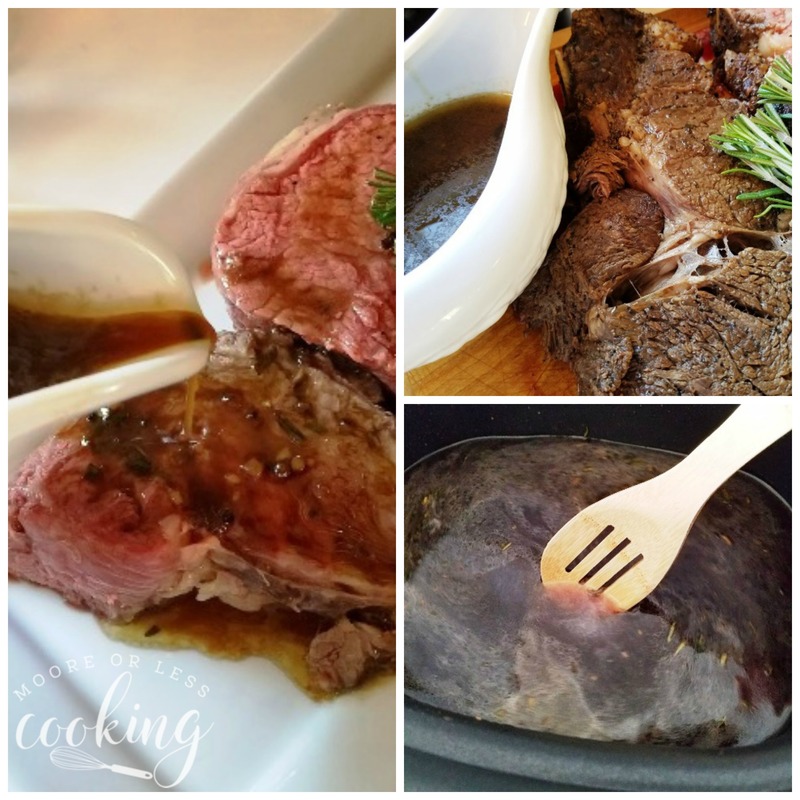 I adapted the recipe in the Ninja Cooking System with Auto-iQ cookbook for Prime Rib Au Jus. Page 88, Manual Recipes. The Auto-iQ™ Technology features more than 80 pre-programmed recipes where you will find slow cooker recipes as well. I am excited to find a cookbook included, it’s a great guide, just select a recipe number, add ingredients, and let the Ninja Cooking System with Auto-iQ cook for you. There is so much to choose from, such as quick meals, layered bowls, poached infusions, and grains. Steam veggies are a great choice, or steam light proteins like seafood to play up their naturally subtle flavors. The Ninja Cooking System with Auto-iQ also offers Quick Meals Recipes, which are recipes specially designed to get you in and out of the kitchen. Just add your ingredients and hit the button. All that’s left to do is enjoy. Easy Peasy! Layered Bowls are 2-step recipes that use the stove top to sear proteins and build layers of flavor before cooking to perfection. Grain programs allow you to cook oats and quinoa to the perfect consistency with the touch of a button. Poached Infusions can be used to perfectly poach fish, fruit, and more – like poached eggs for breakfast or shrimp cocktail for a classic dinner party appetizer. 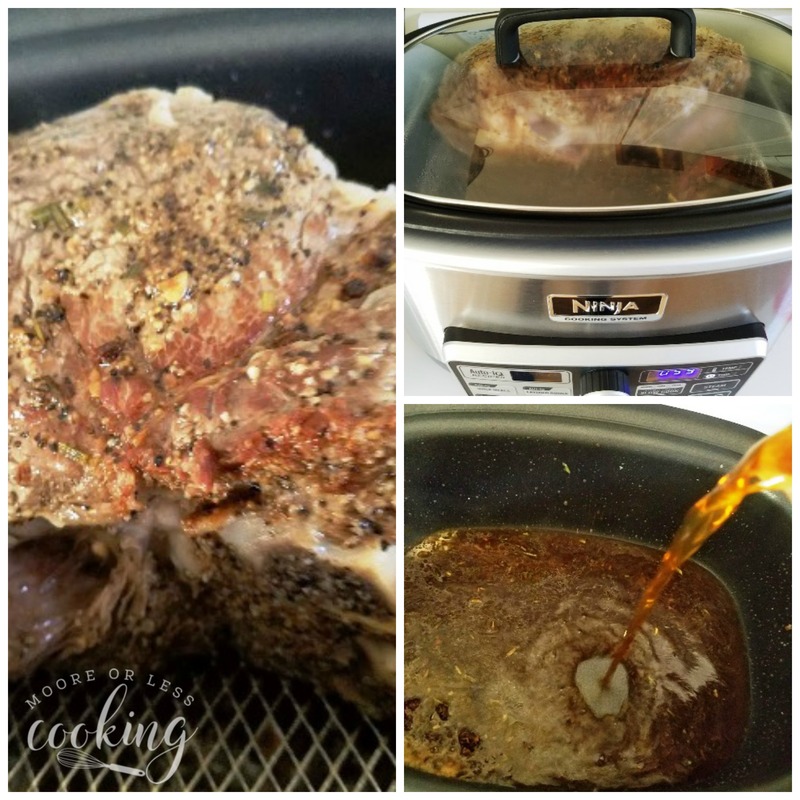 I used the stove top and the bake method for this Prime Rib Au Jus. The Ninja Cooking System with Auto-iQ has a controllable temperature range of 250°– 425°F, you can dry bake hearty roasts or steam bake breads, cakes, and more. 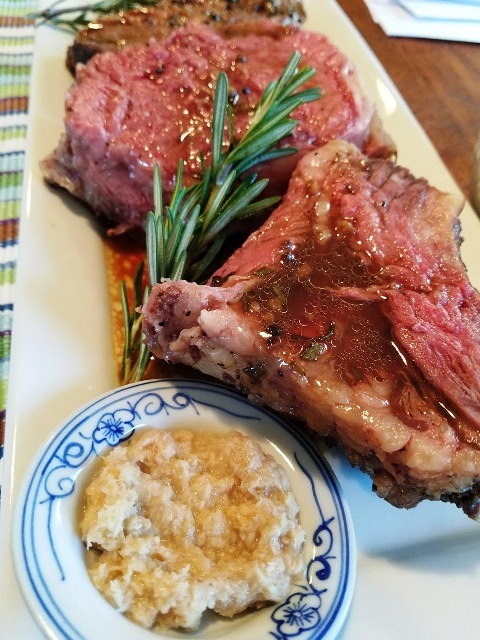 I browned the Prime Rib in the Ninja Cooking System with Auto-iQ. It has an innovative heating element which turns the Cooking System into a skillet so you can sear meats and sauté vegetables in one pot. Best Prime Rib Au Jus served with horseradish. Set pot to Stove Top High and preheat pot for 5 minutes. Add beef and cook uncovered 10 minutes or until brown on all sides. Remove beef from pot, Pour broth in pot. Place beef on rack. Set to BAKE DRY at 350 F for 1 hour. Cover and cook 1 hour for a medium-rare degree of done-ness. 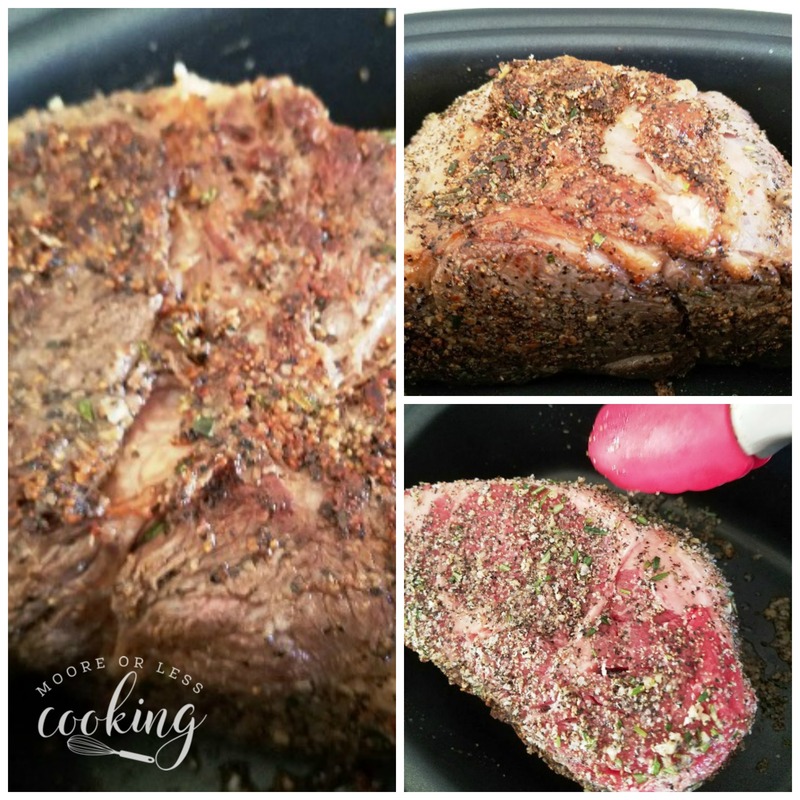 Transfer beef to a cutting board and cover with foil. Combine butter and flour in a bowl. Add mixture to the pot. Set to STOVE TOP HIGH. Cook for 10 minutes or until mixture is slightly reduced, constantly stirring. Serve sauce with beef. 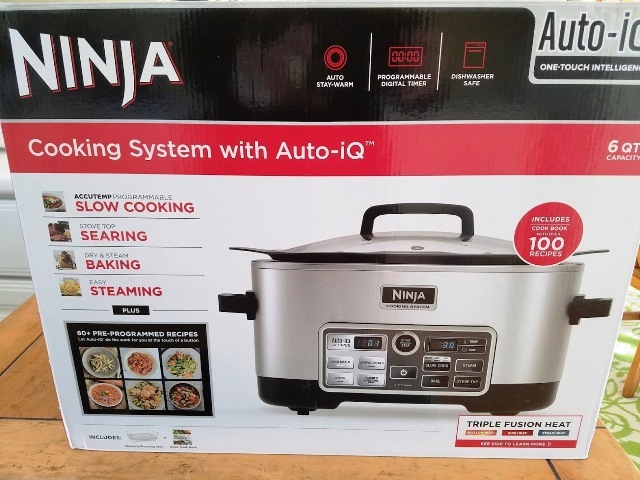 Scroll down to enter to win a Ninja® Cooking System with Auto-iQ™! You can enter to win by entering your email and increase your chances to win by completing social media actions. Season the prime rib at least 2 hours prior to cooking. Mix the pepper, salt, garlic and rosemary together in a bowl. Rub the prime rib on all sides with the oil. Generously sprinkle the herb and spice rub on all sides, pressing it into the meat with your hands. Set to BAKE DRY at 350 degrees F for 1 hour. Cover and cook 1 hour for medium rare done-ness. Transfer beef to cutting board, cover with foil. Combine butter and flour in a bowl. Add mixture to pot. Set to STOVE TOP HIGH. Cook for 10 minutes, stirring constantly until mixture is slightly reduced. Serve with a side of horseradish.